Karthik faced flak from all quarters for his refusal to take the run. Wicketkeeper-batsman Dinesh Karthik turned out to be a hero a year ago when he slammed a last-ball six to win a final for India against Bangladesh in a T20I. On Sunday, the game showed the man what a great leveller it is. Karthik was on the strike in yet another crucial T20I, this time against New Zealand, trying to take his team to another famous victory. 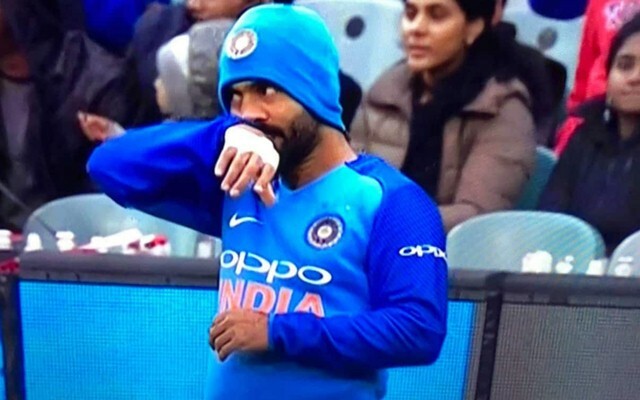 But Karthik failed this time despite batting well and also found himself at the receiving end over not taking a single in the final over to let his partner Krunal Pandya take the strike. Till that point, Karthik and his partner Krunal executed things as per the plan. Chasing a high target of 213 in 20 overs, India were 145 for 6, losing the top order, when the duo came together requiring to score another 68 runs in just 28 balls. In the next 22 balls, they scored 52 and needed another 16 off the last six. In the era of big hitting, it was not something too tough to accomplish. But Karthik, in a zest to clear the boundary in the third delivery of the over which was bowled by Tim Southee, mistimed it but then to everybody’s shock, refused to take a single. Krunal had sprinted off the moment Karthik hit the ball but he had to return almost after reaching the other end. It was shocking all the more since Krunal himself was also connecting the ball well, scoring 25 off just 12 balls with two fours and as many sixes. Karthik eventually hit one six after a few singles since that incident but that wasn’t enough to take India past the line. The visitors stopped at 208 for 6, losing the game by just four runs and squandering the series 1-2. Karthik faced flak from all quarters for his refusal to take a run and even Mumbai Indians, the Indian Premier League franchise for which Krunal plays, also made an indirect jibe at the former. In a tweet, the franchise rued the fact that the all-rounder faced just one ball in the final over despite hitting the ball well.